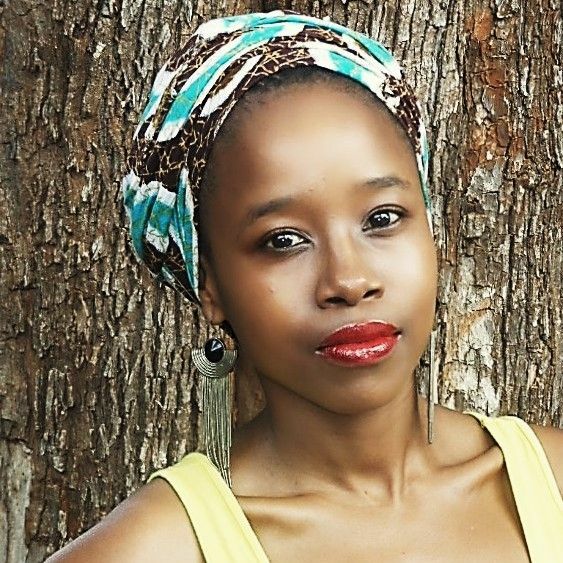 Multi-award winning Actress, Philanthropist, Lecturer and Academic - Lungelo Nxele is bringing to Durban the 4th annual Africa Television Market at the Olive Convention Centre from 13th – 16th July. The conference unpacks an exciting programme that caters for the entire value chain of the television industry. ATM in short, hosted in partnership with the KwaZulu Natal Economic Development, Tourism and Environmental Affairs, brings the full spectrum of television industry with conference features that address various aspects of the television experience, from production sets to lounges across the African continent. Lungelo is popularly known for her leading roles on dramas and films such as uGugu no Andile, Soul City, Dream World and Intersexions before joining the star-studded cast of Isithembiso. With a SAFTA and AMAA to her name, Lungelo is a force in the acting industry. A passionate entertainer, community builder and at 29 years old, she has a Masters Degree in Commerce. This year’s, ATM will feature high profile speakers the likes of BET & MTV’s Monde Twala, TV mogul Tim Horwood, actor Wandile Molebatsi, Bomb Production’s Kutlwano Ditsele and Trace TV’s Leo Manne as well as various other television personalities, industry influencers and key strategic partners who will share their expertise and experiences in the industry. ATM will continue to champion the Digital Migration, Transformation and Sustainable Development of Talent in the industry. One key feature of the conference will be an exhibition by television industry stakeholders, providing an engagement platform for visitors. “The Africa Television Market provides a key platform that compels the African Television Industry to regroup, discuss, address the challenges and highlight growth opportunities within the industry.” said Ms Lungelo Nxele, Founder of theAfrica Television Market 2017 Letter.jpg Africa Television Market. She added “Africa Television Market, aims to assist develop further the value chain for emerging and established producers whilst focusing on the developments that erupt within the Africa television Industry”. Over the years, ATM has proven to be the foremost platform that continue to set the industry dialogue whilst addressing challenges facing the industry. ATM remains the strategic engagement platform that brings together key industry players whilst ensuring on active participation, sustainable growth and inclusiveness of the industry. The Tele dialogue is a 4-day conference where the industry experts, stakeholders from the government sector, private sector and civil society will be sharing their experience, knowledge, methodologies and their sense of direction to where the African television industry is headed. This year we have panelist such as Mr Monde Twala Vice President of BET channel, The content producer and executive from Isithembiso, Mr Kutlwano Ditsele, The Queen and Lockdown Executive Producers Black Brain and The Ferguson Films, Mr Leo Manne General Manager from Trace TV, The head of SABC education Mr Danny Swart, the crew from Ebonylife Channel and CEO of Kenya Film Commission Lizzie Chongoti. The Channel Station is also a new component created to provide content producers direct access to the international, national and local television channels. Each channel station is given an opportunity to run workshops at the Africa television Market. The objective of the channel stations is to provide the producers with direct access to the channel commission editors and in return the editors get to enlighten the producers on the brand and strategy of the channel. The following broadcasters will be running the channel stations: Mnet, SABC Education, Starsat channel and Trace Africa TV. Actor factor is a new component created for actors in the television Industry. Led by actress Zinzi Zungu the project aims to unearth talents and voices and to provide a much needed venue to articulate, issues effecting performers as well as providing a platform on learning about branding, business of Acting and other components that can assist actors to reach their fullest potential. The actor factor panelists are as follows: Zikhona Sodlaka, Tumi Masemola, Celeste Khumalo and Akhumzi Jezile among others. The Taste of TV panel will include production houses and brands who will present commercial opportunities in food television to upcoming producers. Representatives of top lifestyle channels will also showcase platforms for food content in Africa, while on-screen food personalities share tips on capturing audiences with culinary expertise. Upcoming lifestyle producers and aspirant foodies are in for a feast of inspiration and knowledge. This program will be hosted by Durban’s very own Lentswe Bhengu. The Africa Television Mentorship is component specifically designed to mentor emerging content producers that come from disadvantage backgrounds. The objective of the program is to provide one-on-one mentorship and training to emerging content producers on their existing developing content/television program. This program is in partnership with Startsat Channel.